Precision European Incorporated (PEI) was founded in 1987 to respond to the fast growing need in the United States for quality, remanufactured automatic transmissions for BMW and Mercedes Benz automobiles. As the market continued to grow so did PEI’s reputation for its high quality products and outstanding customer service and support. Today PEI is a significant player in the automotive industry with focus on independent automotive shop owners and dealer technicians, accounting for a significant portion of the domestic remanufactured transmission market. 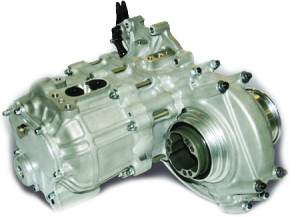 Precision European offers a complete range of remanufactured transmissions for BMW and Mercedes Benz automobiles with quality craftsmanship to match or exceed factory standards. With 36 months unlimited mileage, PEI offers and maintains the longest warranty in the industry. PEI’s in-house built and engineered dynamo meter is capable of simulating all road conditions, giving the opportunity to test all transmissions to their maximum RPM and torque load specifications. Since 1987, Precision European Inc has combined quality parts and supplied with expert craftsmanship and precision to bring you the best product in its class available today. All of our products are quality tested on our computerized dynamometer to ensure the highest precision and quality control, which allows us to offer the best workmanship and warranty in the business.